I’ve had the great fortune to work with a vast array of breeds and cross breeds. I gave it some thought, and I came up with a list of over fifty different breeds I have experience with! 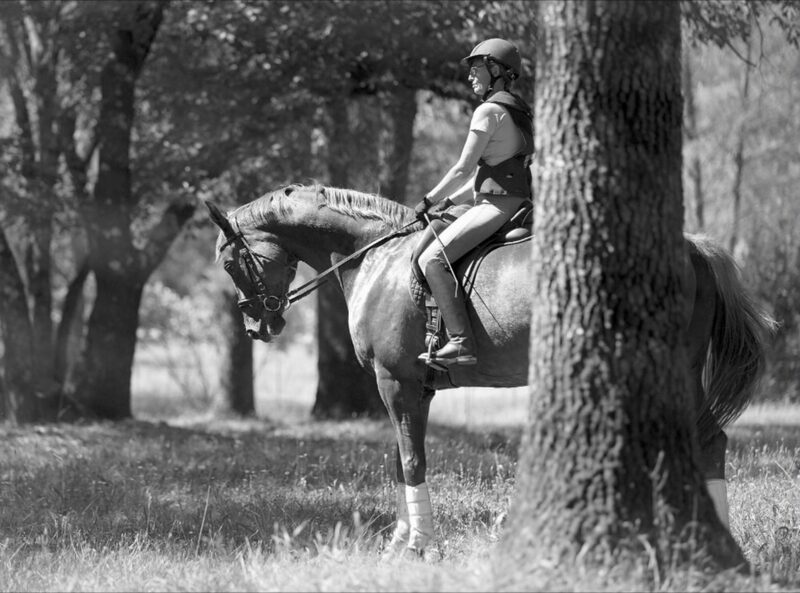 American Warmblood, Andalusian, Anglo Arab, Arabian (Polish, Egyptian, Shagya), Appaloosa, Belgian Draft, British Warmblood, Canadian Warmblood, Clydesdale, Connemara, Curly Horse, Drum Horse, Dutch Warmblood, Danish Warmblood, Fresian, Georgian Grande, Hispaño Arabe, Haflinger, Hannoverian, Hessen, Holsteiner, Hungarian Warmblood, Iberian Warmblood, Irish Cob, Irish Draft, Lippizaner, Lusitano, Missouri Fox Trotter, Morgan, Mule, Mustang, Nokota, Oldenburg, Paint Horse, Percheron, Pony of the Americas, Quarter Horse (Appendix, Foundation), Rhinelander, Thoroughbred (American, Argentinian, Australian, New Zealand), Trakhener, Saddlebred, Shetland, Shire, Standardbred, Sugarbush Draft, Spanish Norman, Spotted Draft, Swedish Warmblood, Tennessee Walking Horse, Welsh Cob, Welsh Pony, Westfalian,Trakhener, Zweibruker. With a few exceptions, I’ve seen most of these breeds in purebred and crossbred form. 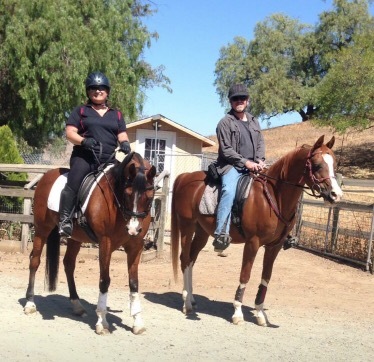 I’ve worked with imported and domestic horses. I’ve heard lots of negative stereotypes about different breeds, and I thought it would be fun to share these stereotypes and my experiences. Arabians are spooky and crazy. This has not been my experience. I’ve encountered far more spooky warmbloods than spooky Arabs. What I do notice about Arabs is some of them tend to be a bit more prone to sulling up when pushed past their comfort level. That means that if they are being asked to do something they don’t want to do, they can become immobile and not move despite any and all attempts to coerce them otherwise. 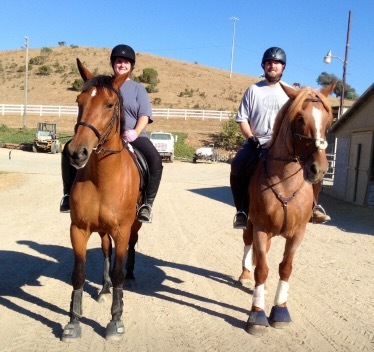 I have found some of the kindest and most kid-safe horses to be Arabian mares. Appaloosas are stubborn. This has not been my experience. I can’t think of any universal truths about this breed. Draft crosses make good husband horses. 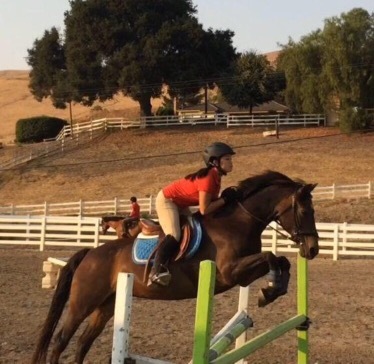 I’ve found draft crosses to be good at ignoring their riders, which has its pluses and minuses when dealing with a novice rider. If you’re husband is used to being ignored, it could work out. They are quiet 4 of 5 times in my experience. Haflingers make great kids horses. Haffies are draft horses with their legs cut in half. Some draft horses make good kids horses, and some are unstoppable walls of muscle. Same is true here. In my experience they are good kids’ horses 4 out 5 times. 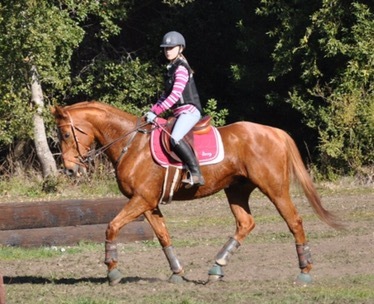 Comet is a great kids horse, and was just about as wide as he was tall! 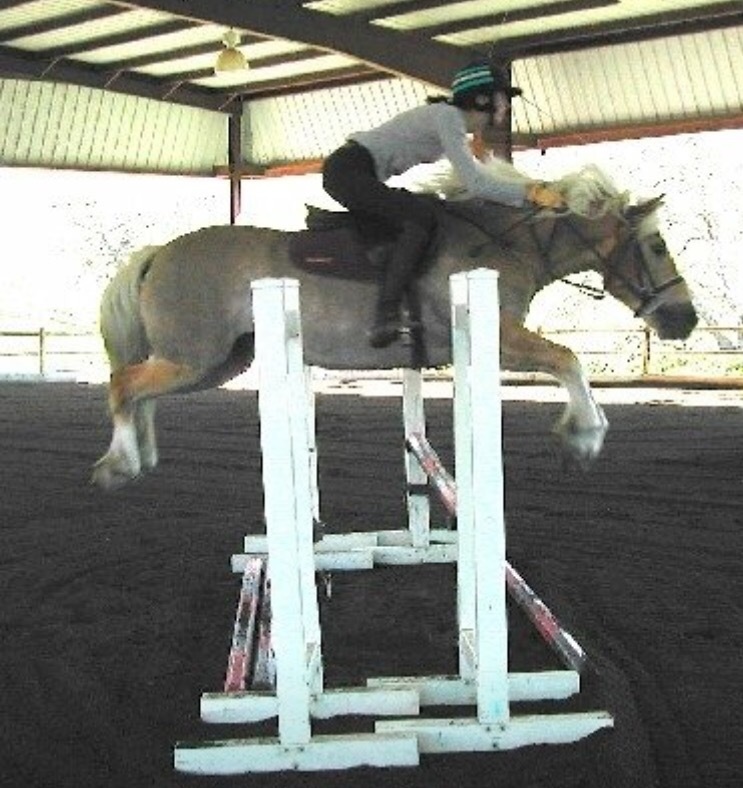 That is 5’11” me on 13.3h pony. Holsteiners buck. My experience shows this to mostly be true of they come from a “C” line. Morgans… What do people say negatively about Morgans? In my experience, they are late maturing and last forever. I’ve had two Morgan ponies that panted in the summertime. That was very disconcerting the first time, but I knew what it was the second time. Poni the pint sized Morgan is 23 and not slowing down. Mustangs are never truly reliable. I have a pretty small sample size on this one. My experience with the 2.5 Mustangs I’ve worked with is that they hold on to a certain quirk, but are otherwise quite even tempered. Paint horses (solid) are crazy. I’ve heard that when paint horses are born solid instead of spotted that they aren’t given the same attention as their flashier brethren. This theory is supposed to justify mean behaviour from solid paints. In my experience this can be true. I’ve seen a solid paint get mad at his rider, jump in the air and land on his side effectively body slamming her. 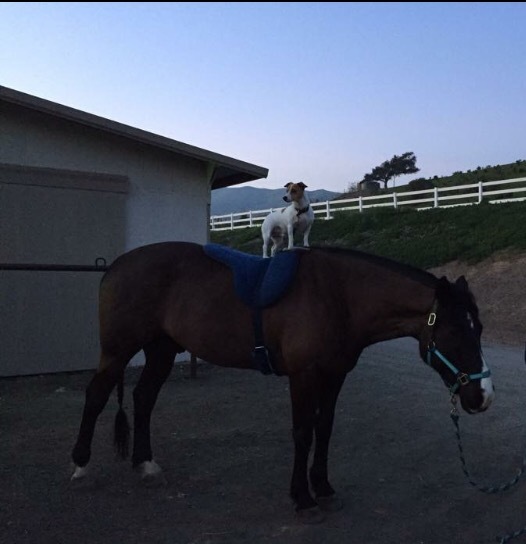 I’ve also got a solid paint in my program right now so quiet that a dog rides him. Quarter horses are very quiet. This is often true. 4 times out of 5 in my experience. 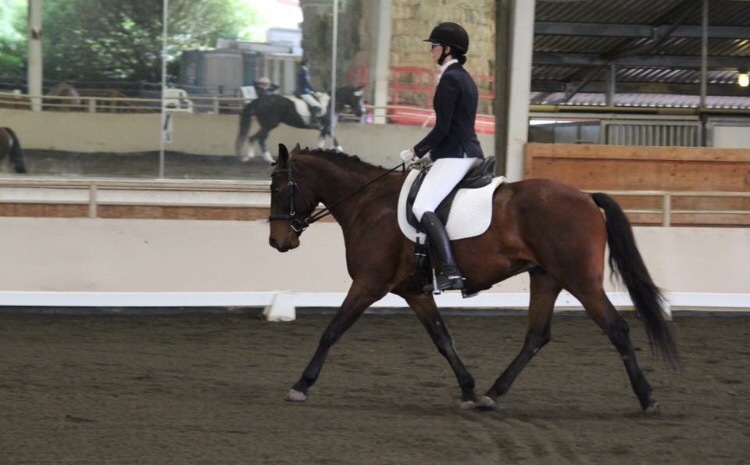 Standardbreds have bad canters. Yes, true. This seems to be a dominant trait as every Standardbred cross I’ve encountered also had a crappy canter. 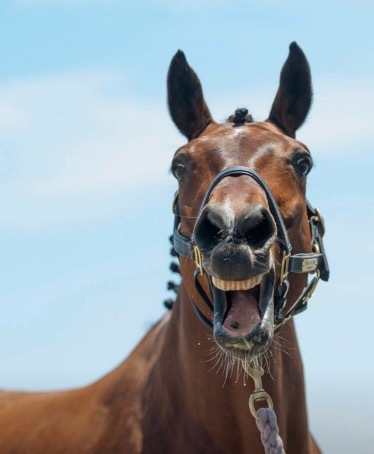 Thoroughbreds are fast and crazy. I haven’t found this to be true either. I’ve seen some unflappable thoroughbreds. I do find them to often be fast but behind the leg 4 out of 5 times. Trakheners are hot. Honestly I don’t think I’ve had a full blooded Trakhener. I’ve had crosses though, one was super hot, the other super quiet. Warmbloods are stupid. They should call them dumbbloods. Seriously? I don’t really understand why people say this. I have not found this to be true. I also don’t find a ton of warmbloods who are super quiet these days either. People like to think they are universally quieter than thoroughbreds, I have not found that to be true. I’ve come to realize that every horse needs to be treated as an individual. Knowing about your horse’s breeding may predict some strengths and weaknesses you encounter, but it also might not. The concept of a breed is best used to describe a phenotype or genotype, not a guarantee for temperament or attitude.